Brush 4 (1 1/2 cup) brioche tins with melted butter, and sprinkle with 1/4 cup of the bread crumbs. Set aside. Place honey in a mixing bowl and set over a pot of steaming water; warm until it gets loose. Add the sugar and egg yolks to the honey, and whisk until frothy. Remove the bowl from the heat and whisk in remaining bread crumbs and hazelnuts. In a separate bowl, whisk the egg whites until stiff and fold into the batter. Place mixture into the brioche tins and bake for 45 minutes. 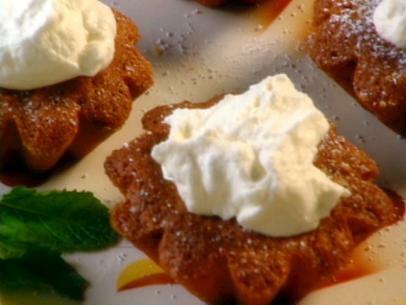 When cool remove from pan and garnish with whipped cream and a drizzle of honey. 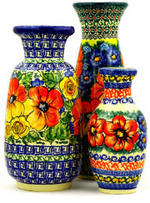 This entry was posted in Cooking with your Polish Pottery on July 1, 2015 by Sara.